Looking for a Puppy or Adult Dog? 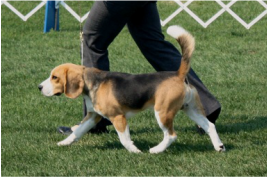 Come discover more about the breed, learn the breed standard and how to care for your true scent hound. Every year our cl﻿﻿ub holds a specialty to highlight our breed. See what specialties we are offering for 2017. Announcements on upcoming litters from our member breeders. PLUS, an adult dog or 2 may be looking for a nice retirement home if that's something you're interested in!